If you’re a new homeowner and have zero experience with home repairs, fear not! There are a lot of simple projects that you can do yourself without calling in the pros. Below are three easy home repairs you can handle with minimal expenses. Unclogging the kitchen sink is usually pretty easy, but don’t reach for the bottle of drain remover yet. First, try removing anything from down in the sink and running the garbage disposal if you have one (mind your fingers!). If that won’t clear it, then use a plunger. Get a good seal around the drain and work the plunger straight up and down. The range of motion only needs to be a couple of inches. If that still doesn’t do the trick then follow the directions for the liquid clog remover. You’ll likely need to let it sit and work on the clog for a couple hours or more. Never turn on the disposal once those chemicals are down in there, as they can splash all over and cause injury or damage. The first two problems can be remedied in seconds with no actual repairs needed. Try untangling the chain to allow the flapper to fully close. That takes less than 10 seconds. Turn off the water to the toilet by screwing the valve closed–that’s where the water comes in from the wall to the toilet. Next, flush the tank to remove the water. Now you can thoroughly clean out any debris or particles from the bottom of the tank. Reopen the valve at the back of the toilet to fill the tank and see if that fixes the problem. If the debris consisted of actual chunks of your toilet tank, then be sure to check the tank itself for cracks or chips. It might need replacing. If the flapper is old and worn out, you’ll need to replace it. When you head to the hardware store, take the old part with you to make sure that the new part you choose will match up properly. This is actually a good tip for any easy home repairs that you plan on tackling yourself. Always take the old part that you’re replacing! First, unscrew the old showerhead and remove any plumber’s tape from the threads of the water pipe. It’s important to clean those threads really well to prevent any leaks. Next, take a strip of fresh plumber’s tape about six to nine inches long and wrap it clockwise around the threads, starting with the tape at the front of the opening and wrapping clockwise and working back away from the opening. Screw the new showerhead on nice and tight. Test out the shower head and let the water run for a minute to see if there are any leaks. If there’s a leak, then repeat the process and take extra care to wrap the plumber’s tape properly. Remember to wrap the tape clockwise. This is important because the new shower head will screw on clockwise too. If you had wrapped the tape counter-clockwise, then the shower head will loosen the tape as you screw it down and create an opening for water to leak through. By following these simple instructions, you will successfully complete these easy home repairs and know what to do in the future when these issues come up. Click here to learn how to do more easy home repairs from HGTV.com. 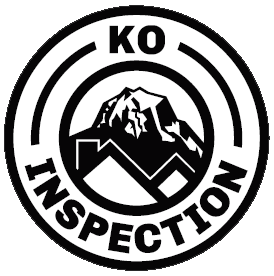 KO Inspection serves Western Washington with home inspection services to help you become a more successful homeowner. Contact us if you need an inspection for a property in the Greater Seattle area.